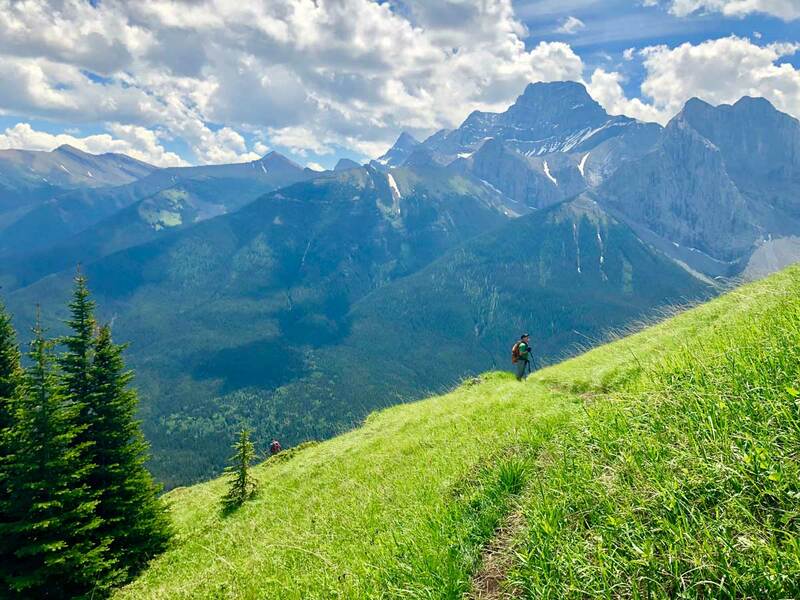 The hike up Wind Ridge, near Canmore, takes you away from the Bow Valley into the stunning West Wind Valley. 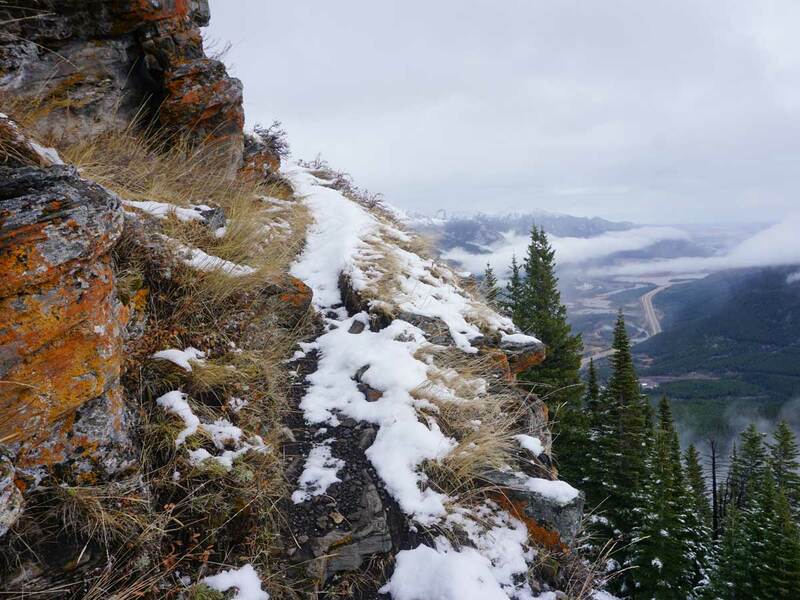 Sometimes confused with West Wind Pass (which is accessed from the Smith-Dorrien Hwy), Wind Ridge is a great hike. 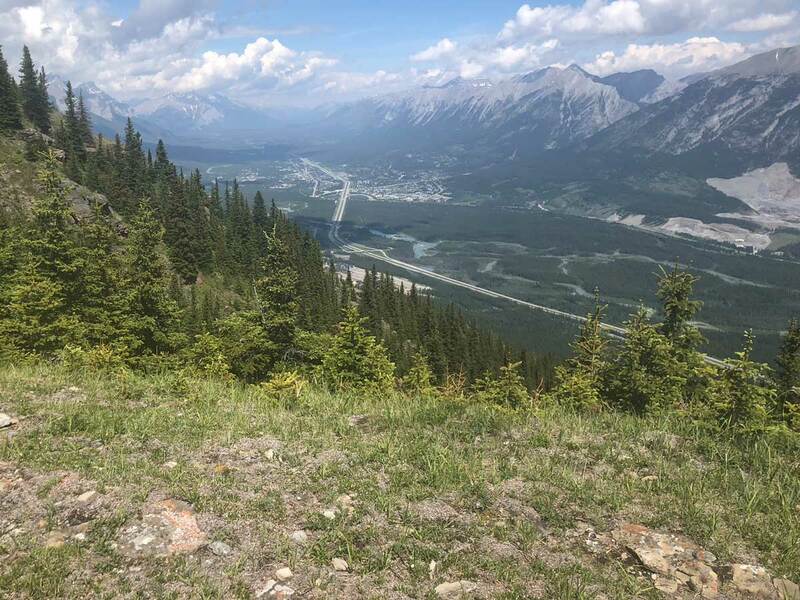 From Canmore, head East on the TransCanada highway for roughly 9.8km. 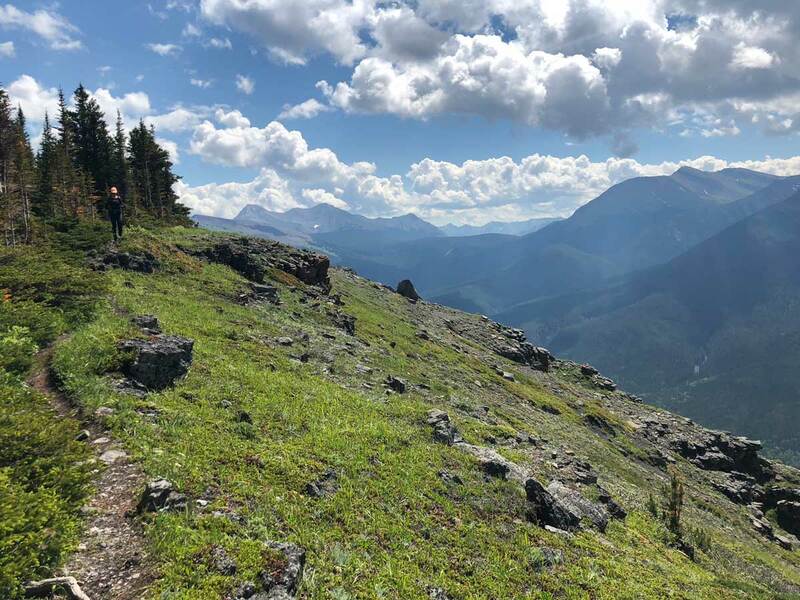 Take the turn-off at Dead Man’s Flats, however instead of crossing over to the town on the north side of the highway, head south for 1.5km towards the Banff Gate Mountain Resort, eventually parking at the Mount Lougheed Viewpoint parking lot. Hurray, the new bridges and new route is almost complete, and should be done in July 2018! This means no more hazourdous creek crossings on deadfall. 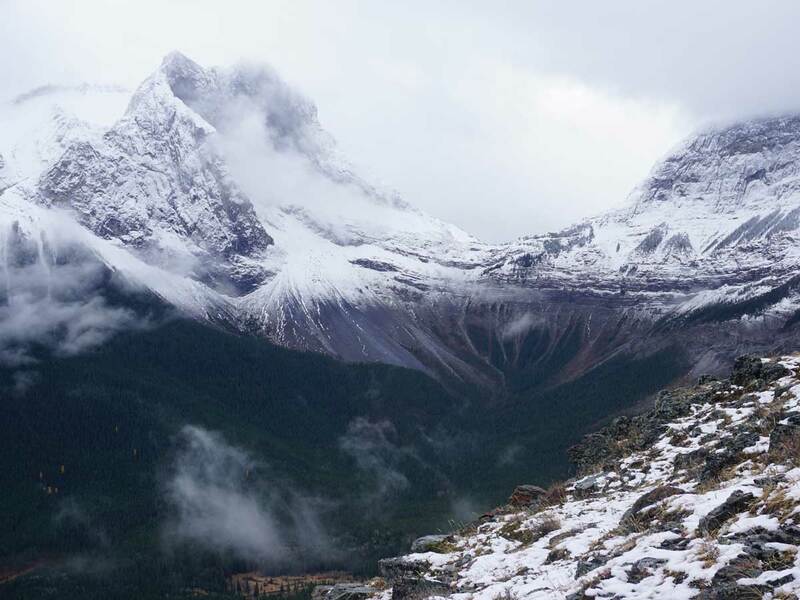 Before starting out, note that parts of the Wind Ridge hike are closed from December 1 – June 15 each year. 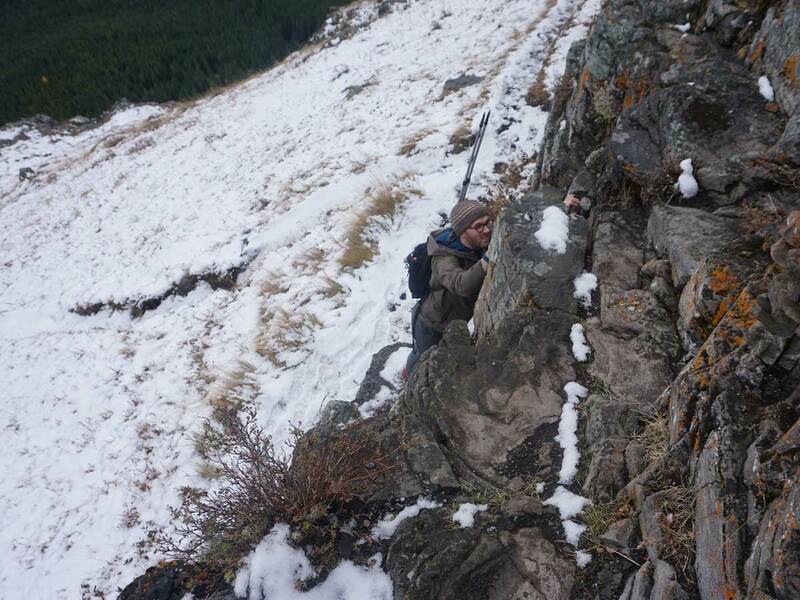 This closure is for Elk and Bighorn Sheep sustainability. 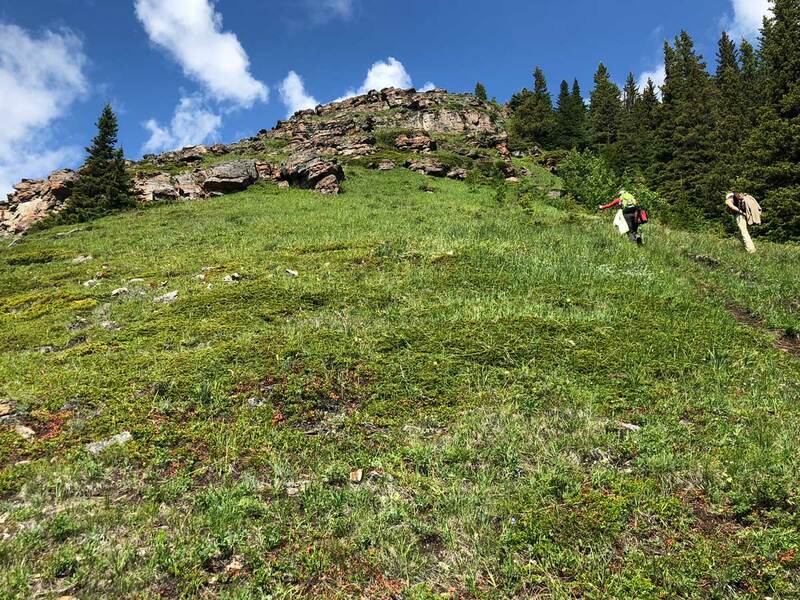 While it is often said that You can still hike to Windy Ridge during this time, however not the entirety of Wind Ridge. Finally, there is a small scramble required on this hike. There is a way around it, however the way around isn’t that great, and some feel it’s actually harder. Now, for the route. From the parking lot, look up, there are incredible views from here already! Today is going to be a great day. Walk to the far end of the parking lot and go past a notice board and onto the trail. The trail starts in the trees.  There is extensive re-routing and trail building as of June 2018. After about 15 minutes you’ll notice a path going down to your right. This is a path to rock-hop across Pigeon Creek – don’t take this. Continue on the main path and use the nice new bridge to cross Pigeon Creek. Once over Pigeon Creek the path has been rebuilt, with new bridges and a new path in places. 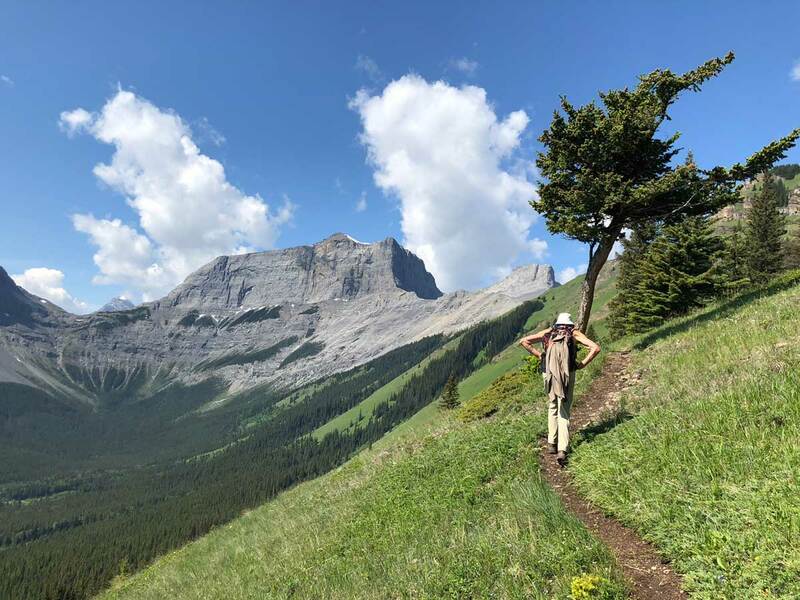 Hike along the trail, watching for signs that direct you to the Wind Valley or Wind Ridge. 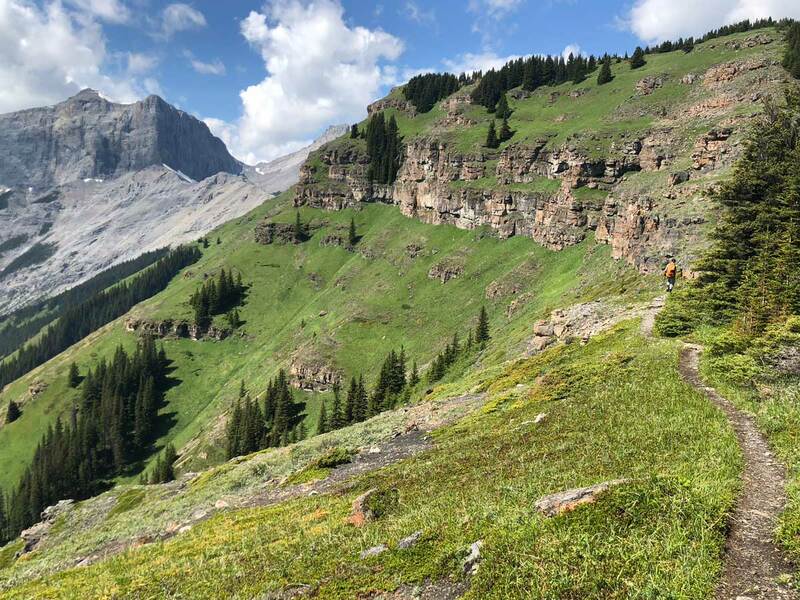 A path goes off to the left, which is the ascent to Centennial Pass. Along the way you will cross 3 new bridges and follow the path as it goes along a new routing. Eventually you come out to a broad forest track, where you will go left, uphill. This is the old path, and you’ll notice some logs on your right, remember these and look out for them on your way back down. You are on a good path for approximately 1.2km as it makes an enormous Z through the forest. 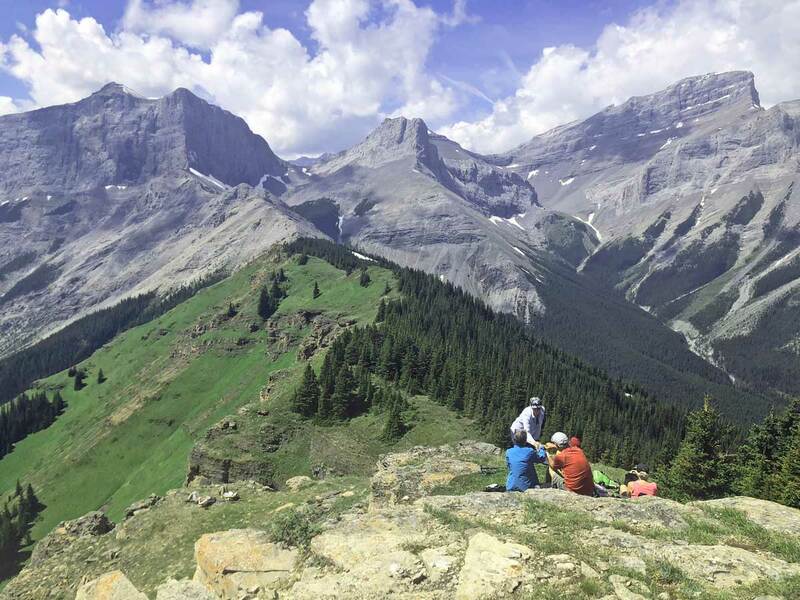 You’ll get occasional views, but the true beauty of this hike is above the treeline. While walking through the forest, the path is broad and the path fairly flat as it meanders. Lookout for a right-hand turn, where you start to go uphill almost immediately. As you ascend you will come out of the trees and see Wind Ridge to your left. From here, the route up Wind Ridge is clear, though very, very steep at times. 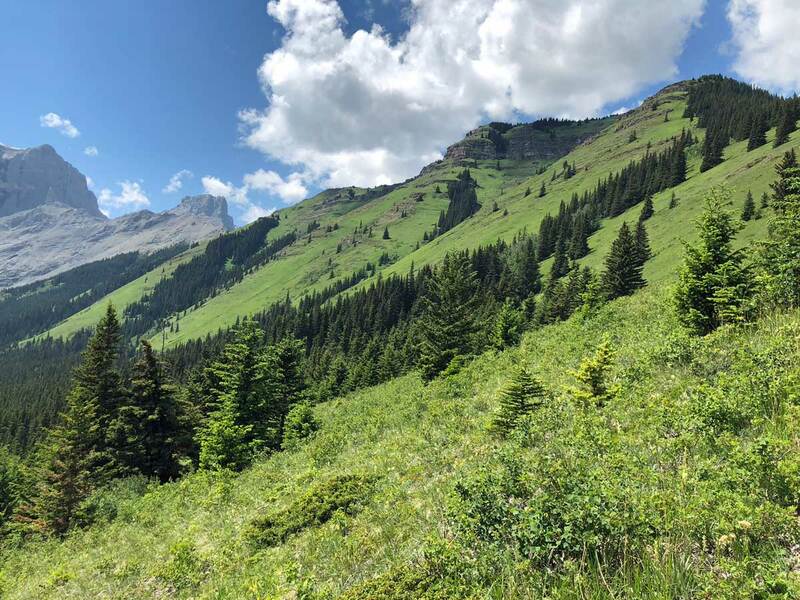 The views are spectacular here, as the trail passes through flowery meadows. The view of Windtower is especially stunning. 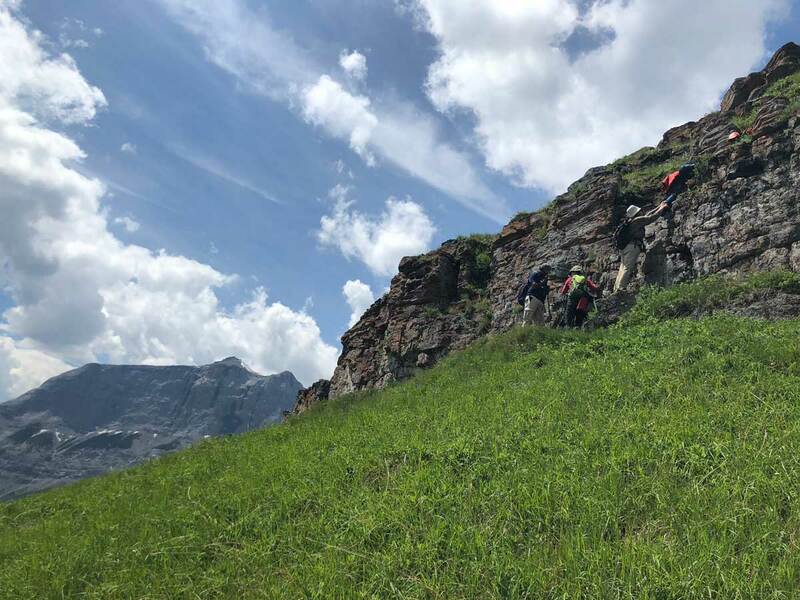 Soon the route comes to the base of a cliff. Don’t worry, you can go around the cliff to your right if you don’t want to go at it head-on. If you go on head-on, you will need to use your hands to get up. The way around on the right isn’t much easier. We typically scramble up and take the alternate route down, which is what is shown on the map. Continue going up along the ridge as it flattens. This is our favourite part of the hike. At the end you’ll come to a cairn, which marks the summit. 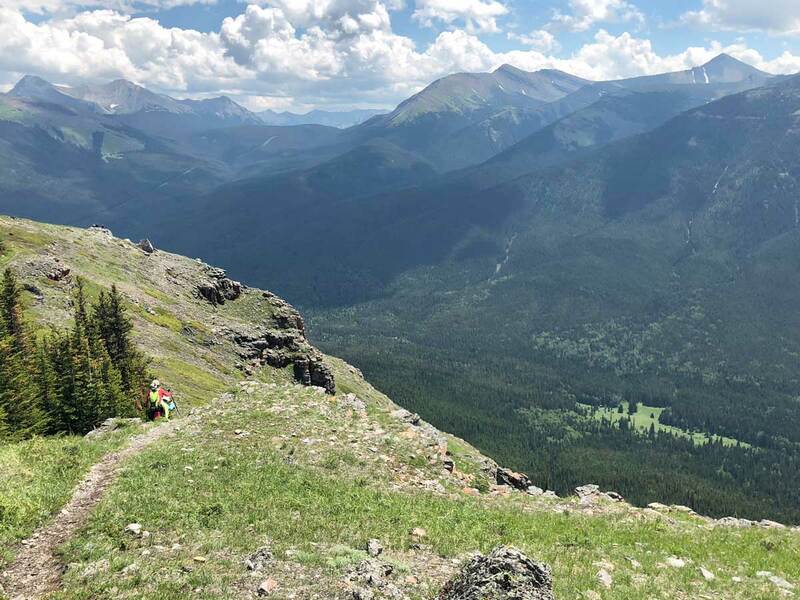 From the summit of Wind Ridge, you have incredible views. 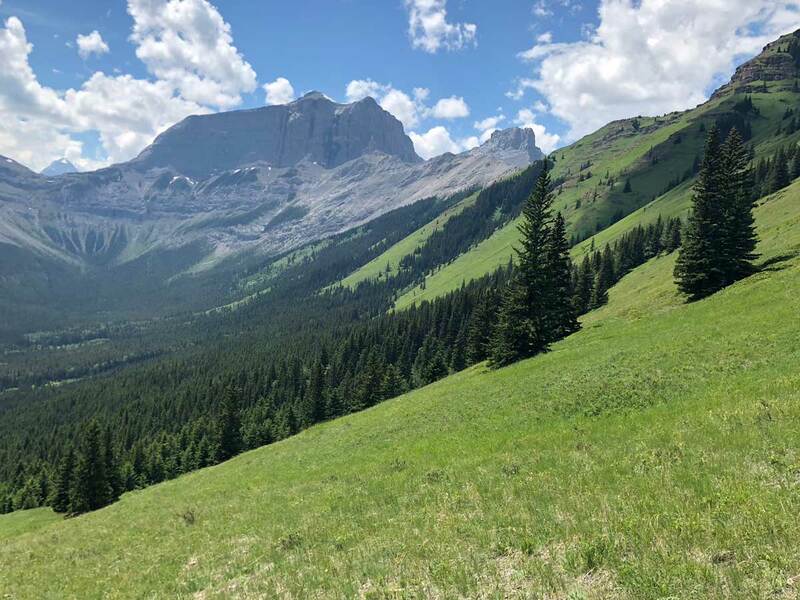 While you can see down to Canmore and the Bow Valley corridor, we prefer the views of the backside of the Three Sisters as well as across the valley to Mount Lougheed, West Wind Pass and Windtower. 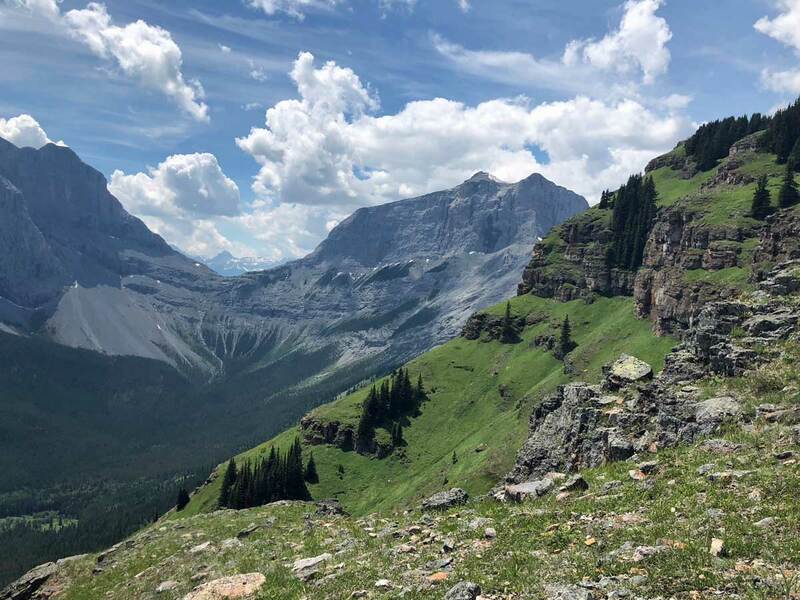 Windtower is one of our favorite hikes in the Canadian Rockies and is a lot easier than it looks from here. 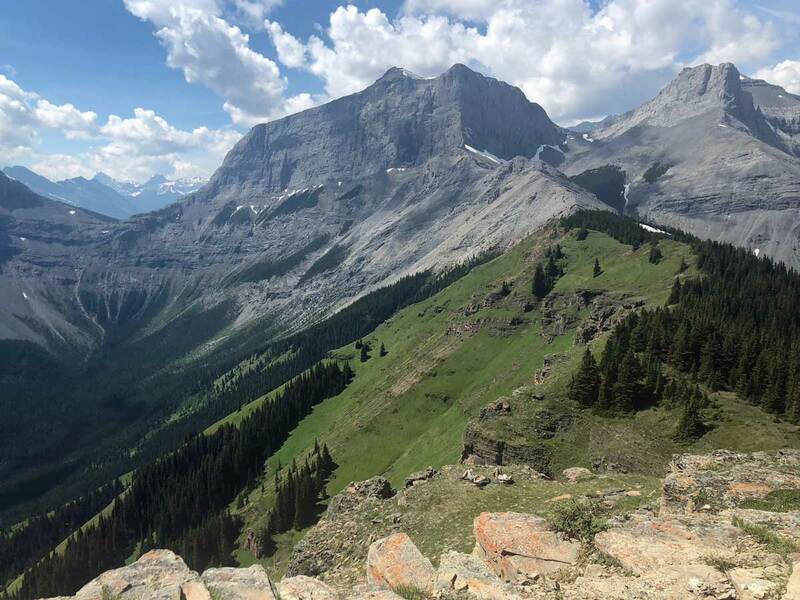 You can find the info for this hike in our Kananaskis – Smith Dorrien Section. Continue down the way you came. The West Wind Valley and parts of this trail are closed from December 1 to June 15 every year. 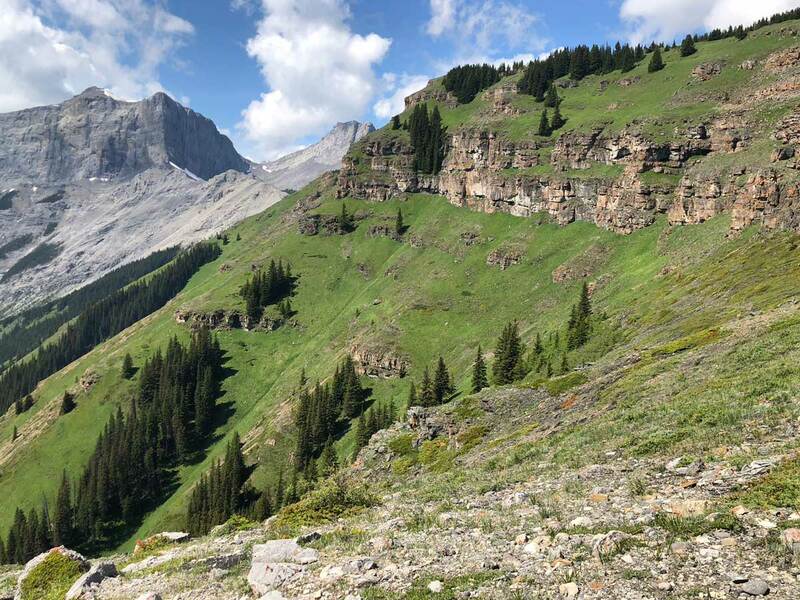 This region is critical for elk and Bighorn Sheep. You may have noticed what looked like an overgrown ski-hill while you drove in. This is the famous Pigeon Mountain ski hill. This hill wasn’t successful, mainly due to the west-facing slopes. It was open for a few years in the 1960’s, closing in 1968. It reopened from 1979 to 1983, when it closed permanently. 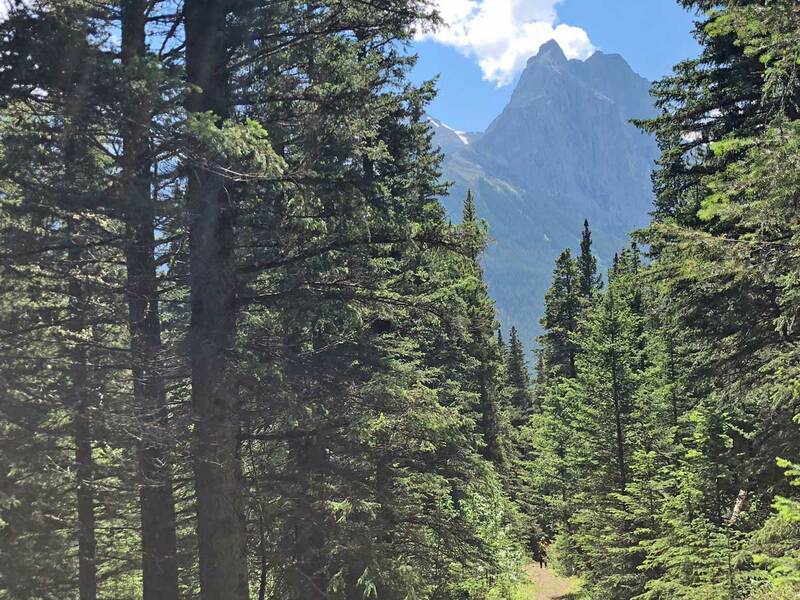 You will have passed a sign for the Banff Gate Mountain Resort when you drove to the trailhead. This is the closest place to stay near the hike, however we recommend Copperstone Resort in Dead Man’s Flats. Copperstone is a great place to stay for families, with multi-room condos with kitchens. It’s usually a lot cheaper than staying in Banff and Canmore. 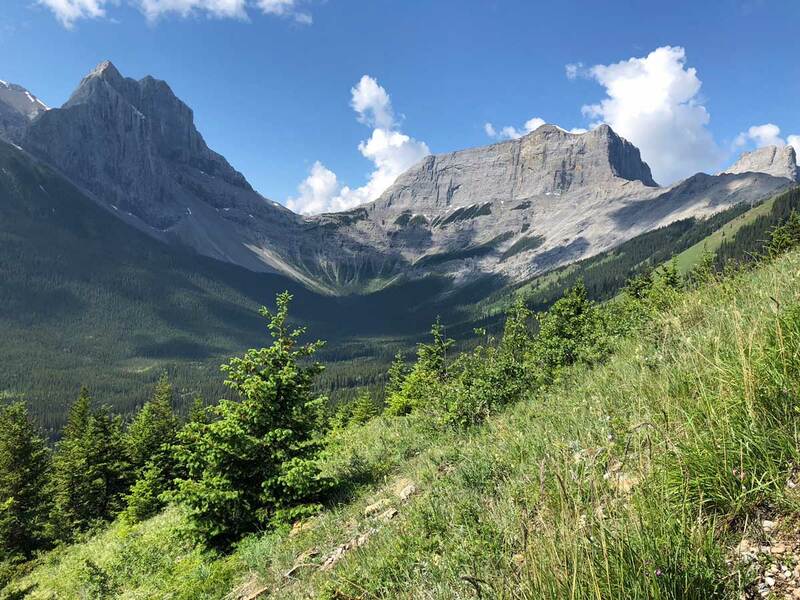 Another classic hike near Canmore, love love love this hike. The scrambly bit can be a bit challenging for some people. the way through the trees isn't much better.